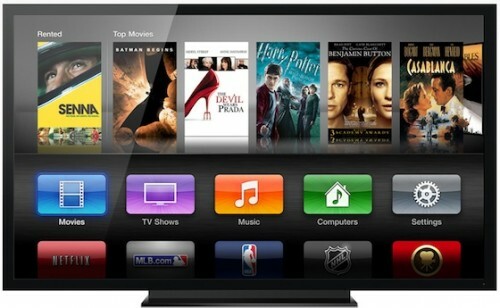 Apple to Unveil Television Set Operating System at WWDC? BGR claims to have received information from a "trusted source" indicating that Apple will demonstrate the operating system for its television set at its Worldwide Developers Conference (WWDC) next month. The company is reportedly making a public unveiling of the operating system ahead of the actual product in order to allow third-party manufacturers to build functionality into their components to allow them to be controlled from the Apple television set and remote. This new OS is said to be much more feature-complete than the current OS that runs on the Apple TV, and is apparently the one that Apple’s upcoming HDTV will run. Yes, that one. The report's source indicates that Apple is unlikely to show off its actual television set at WWDC, and most rumors have suggested that the company won't introduce the product until late this year at the earliest. BGR has a mixed track record of late, having accurately offered information on several iOS releases last year while being more hit-or-miss on hardware-related claims. Seems like a lot to be releasing at WWDC. iOS 6, OSX Mountain Lion, New MacBook Pros, new iMacs, and now the Apple TV set (or just it's OS)? No way we're going to get all of these things at once. When tim cook says that there's a lot to look forward to, I'm in suspense. New redesigned macs? A TV? Redesigned iPhone? All of the above? What do they have in store for 2012? Well they're at least half right. Apple TV runs iOS and iOS 6 will be released to developers at WWDC. Hopefully Apple TV becomes a full fledged member of the iOS family this time around. This a gigantic year for Apple. I gotta say this year's lineup of updates are better than last year. Wow nothing has actually come out yet, Apple has one of the most effective hype machines ever. i Wish people would stop referring to it as an iTV, the name is not going to happen, iTV is the second major broadcaster in the UK after the BBC (free to air, not including sky or cable) and is not going to allow apple to use iTV as a brand name, they might get away by branding it :apple:TV , but the i Prefix is most certainly not going near this product at all. I have a feeling we'll be seeing a lot of rumors prior to WWDC, most of which are probably BS. The Apple advantage is simplicity -It Just Works! I hope Apple doesn't build anything close to that piece of crap. This could easily be an OS that is licensed for 3rd party manufacturers, like Airplay. Most people would be shocked to see Apple have its own branded TV, as that market is tough. Let Toshiba, Sharp, Sony, etc. carry the burden of selling the TVs themselves, and let Apple take $100 in licensing fees per set. The day Apple licenses an OS again is the day Apple's rise ends. Part of the rebirth and success of Apple was when Jobs killed the Mac clones. Apple will probably just use the parts from Toshiba, Sharp, Sony, Samsung, etc... but they'll make their own set if they actually are making a set.